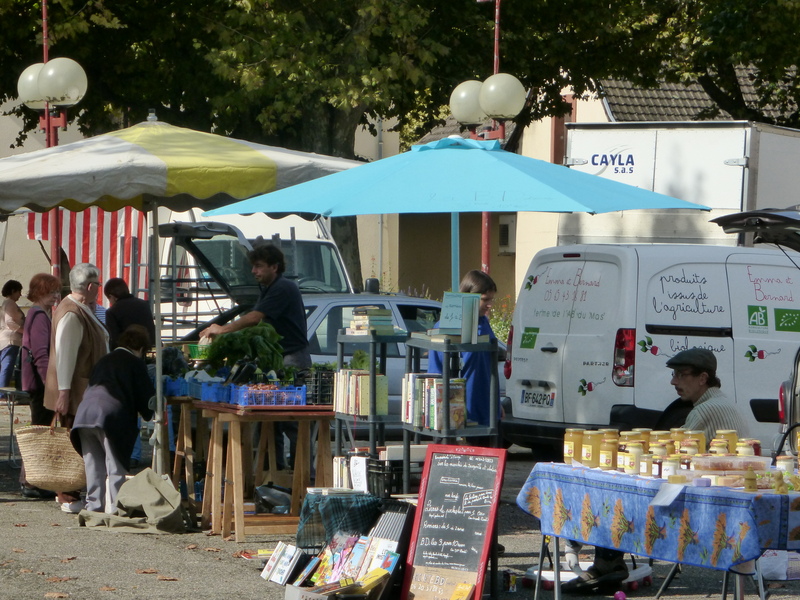 People arriving from the UK are always keen to visit a French market while they’re here, even people from other parts of France want to investigate the differences to their local markets. 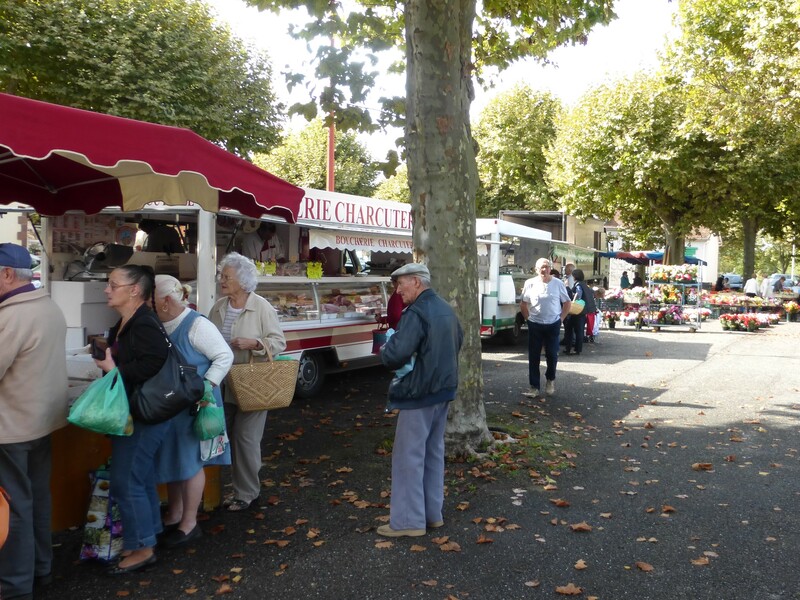 The “go to” market around here is the Thursday morning market in Villefranche de Rouergue. 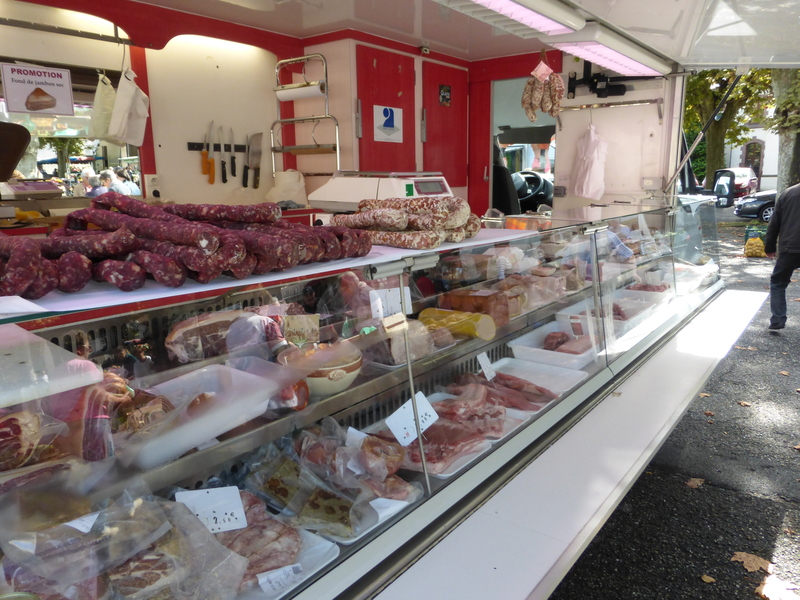 http://www.villefranche.com/fr/gastronomie-terroir/marches-terroir.php and it certainly is a magnificent market, picturesquely situated in a bastide town and maintaining a core of genuine local producers, but…..
Let’s start with the basics, it’s easier to park! OK maybe not the best reason, what else? Well all markets will have several fruit and veg stalls, (including little local producers and at least one larger “professional” green grocer), a butcher, and a cheese stall. So there really is no need to waste, time and petrol going elsewhere. Plus a smaller market you use regularly allows you to develop a rapport with stallholders, which makes it a more pleasant experience and means that they are able to advise you based on your habitual purchases and to source things you might request. 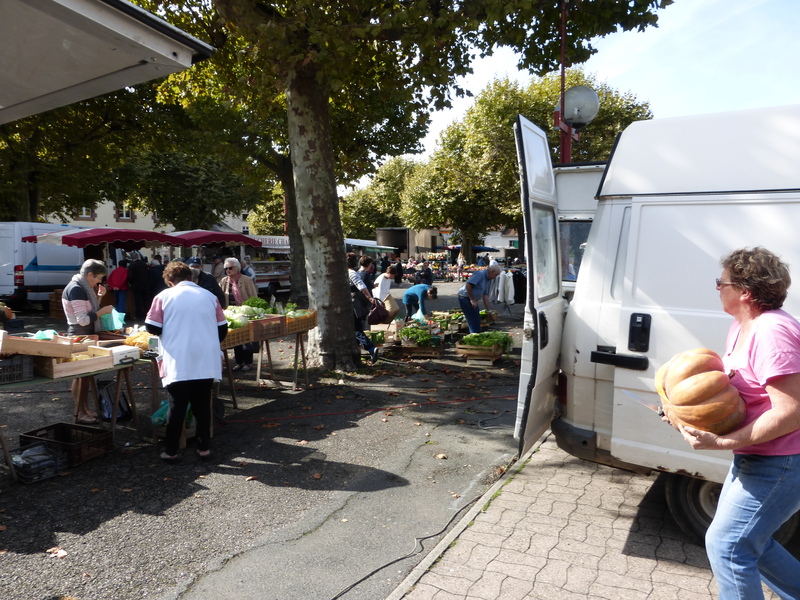 Montbazens on Wednesday mornings, which has 4 local veg producers, a lady selling pork products from her own local farm, two fruit and veg stalls, a local chicken producer, 2 cheese stalls, a fish stall, two butchers and a horse butcher. You can even buy aligot or paella for your lunch. Can’t see that you need much more! Cransac is interesting, blink and you miss it, it’s Saturday 1 to 3! Even smaller than Montbazens, but still has local producers of, fruit, veg and honey, (including a local organic producer) and butchers and bakers if not a candlestick maker! So support your local market and local producers and save some time in the car and money on petrol, what’s not to like?